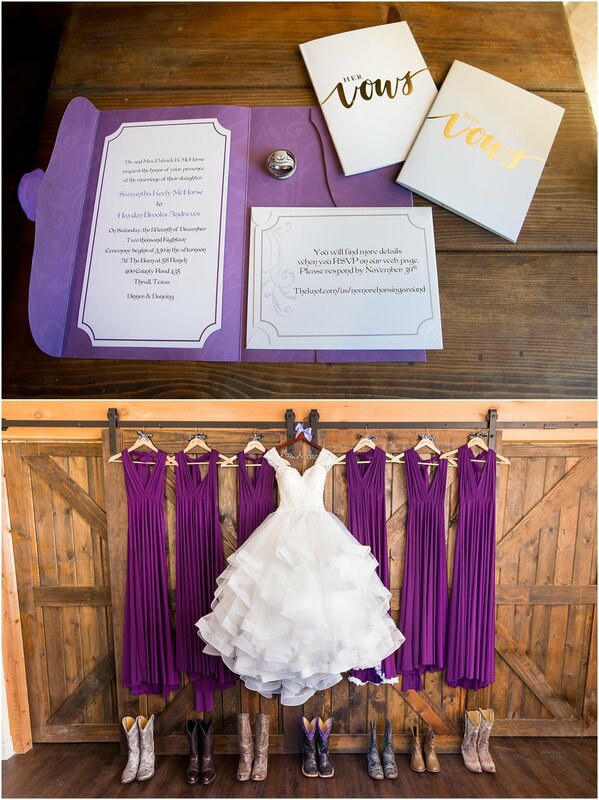 Hayden & Samantha’s Disney-inspired wedding was such a fun and beautiful day! From the beautiful weather (which isn’t always a guarantee for December weddings! ), to the beautiful details, to all the beautiful moments, everything came together perfectly for this Disney princess and her Prince Charming (or Captain America!). While it wasn’t over-the-top Disney, a person with a keen eye would notice all the subtle Disney nods these two Disney fans had on their wedding day. There were hidden Mickeys throughout the day, including Samantha’s nail art, socks and garter, the bride’s cake, and even a fun ring shot. There was Disney font on the bridesmaids’ hangers and the ring box. Every bridesmaid was given a specific Disney princess pin to adorn her bouquet, with Samantha having Rapunzel as her chosen princess on her bouquet. Even the fellas got in on the Disney action, with each groomsmen wearing a Marvel superhero pin on his lapel and a coordinating shirt under his tux. 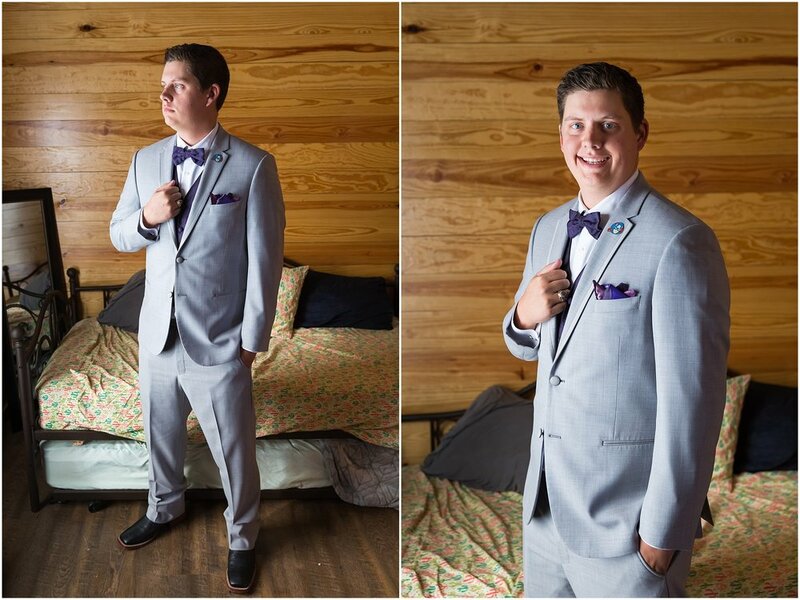 Hayden’s hero of choice was Captain America, not only for his lapel pin and undershirt but even his groom’s cake was Captain America’s shield. But checking out hidden MIckeys wasn’t the only thing to notice at this beautiful wedding. Samantha’s mother has a knack for creating beautiful spaces, and every area from the cake table, to the Sweetheart table, to the vignettes outside the reception hall showed off her talents. And it was all brought together beautifully by the table decor, complete with lanterns, fresh flowers, and individual sprigs of fresh juniper for each place setting. The Barn at 5 S Ranch is already such a gorgeous space, with its vaulted ceilings with white, string lights and it’s large, sliding barn doors. 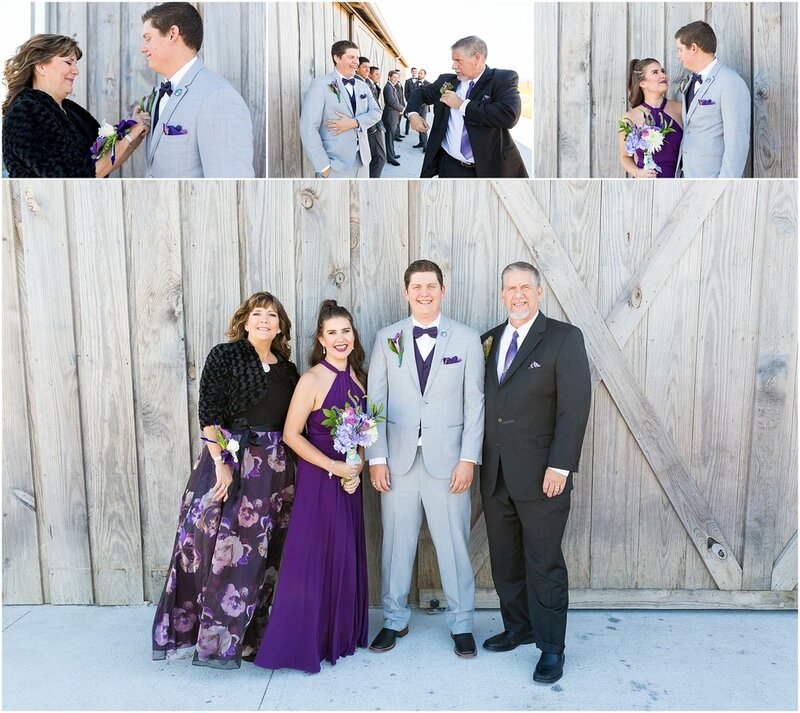 But Hayden & Samantha, and Samantha’s mom’s team, really brought the venue to life with all their details! It’s neat to see how each of our Sweetheart couples choose the details that make up their wedding day, and when we walk into each space we see how perfectly the details showcase the couple. But while we love seeing the details, it’s all the little moments of the day that we’re really excited to see and photograph. 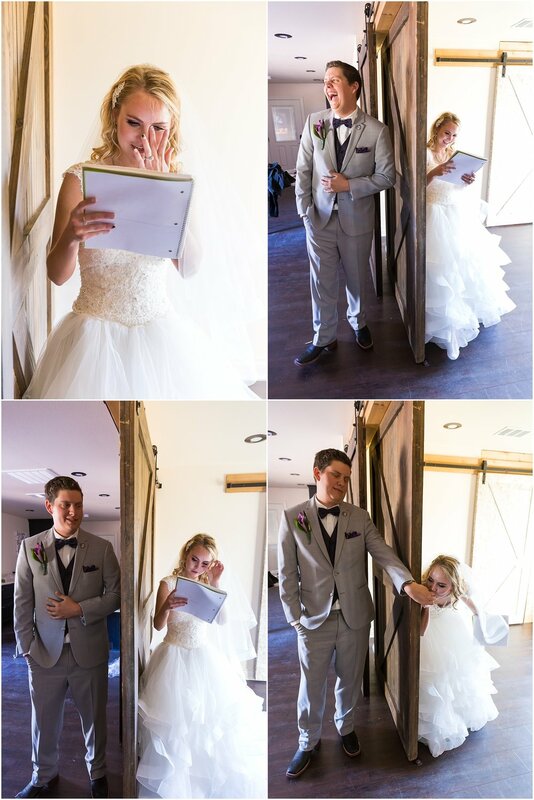 And Hayden & Samantha’s wedding was full of these little moments. Samantha didn’t want to have a first look with Hayden, but she did want to have one with her dad. 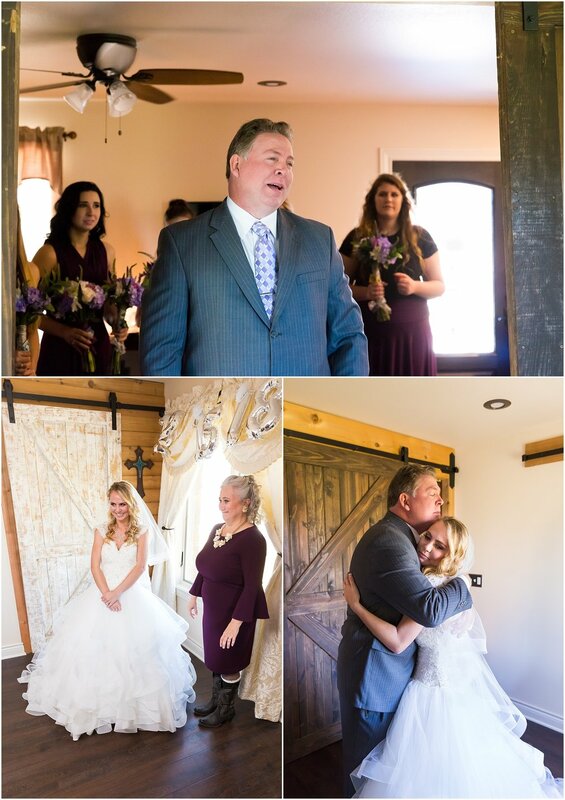 When the door slid open and her dad saw her in her gown for the first time, it was so touching to see his eyes well up with proud tears. In fact, seeing Samantha, her mom and her dad tear up together was such a sweet moment to witness, because we knew this was going to be the last time it was just them three. 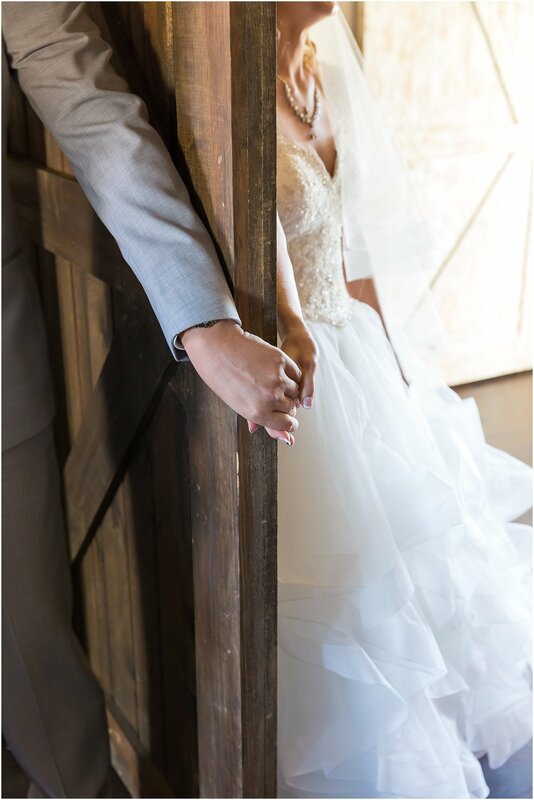 Even though Hayden & Samantha didn’t have a first look, they still wanted to connect before their ceremony and opted to have a “first touch.” They held hands around the sliding door in the bridal suite, and talked about how excited they were to get married. During this moment, Hayden gave Samantha a journal full of letters he had been writing her during their relationship. There wasn’t a dry eye in the room as she read through the precious gift. And while there were so many other great moments throughout the day, the one we had been waiting for was Hayden’s reaction to seeing Samantha for the first time in her dress. We knew from our bridal portrait session with her how excited she was to see his reaction, and we couldn’t wait either. 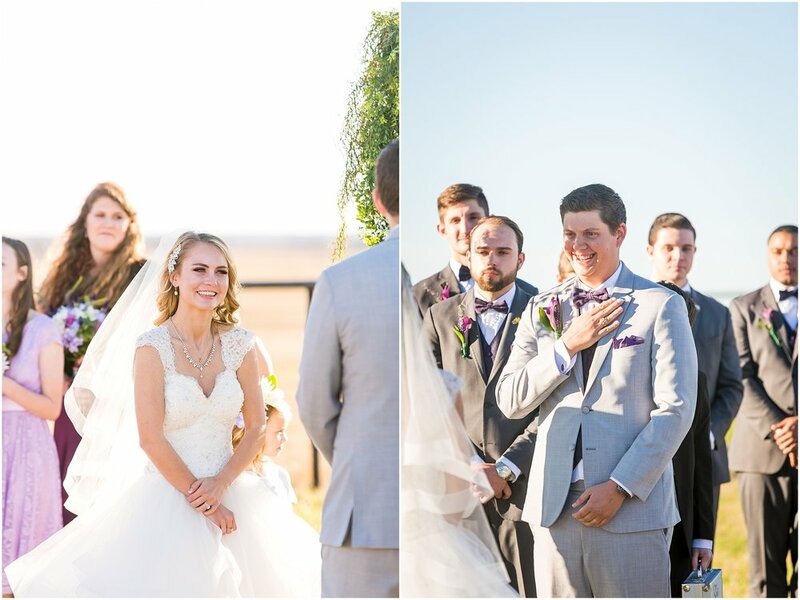 So when the curtains opened to reveal Samantha and her dad walking down the aisle, it was so touching to watch Hayden’s face as he saw his bride. He was a range of emotions, from smiles to tears to trying to hold it together. Seeing his reaction made all the hiding of Samantha in her dress worth it. Recent posts on the blog we think you’ll like!